Today I took delivery of my Bachrus Rolling Saddles. These locomotive rolling stands, enable you to work on your locomotive , while not requiring a whole layout. 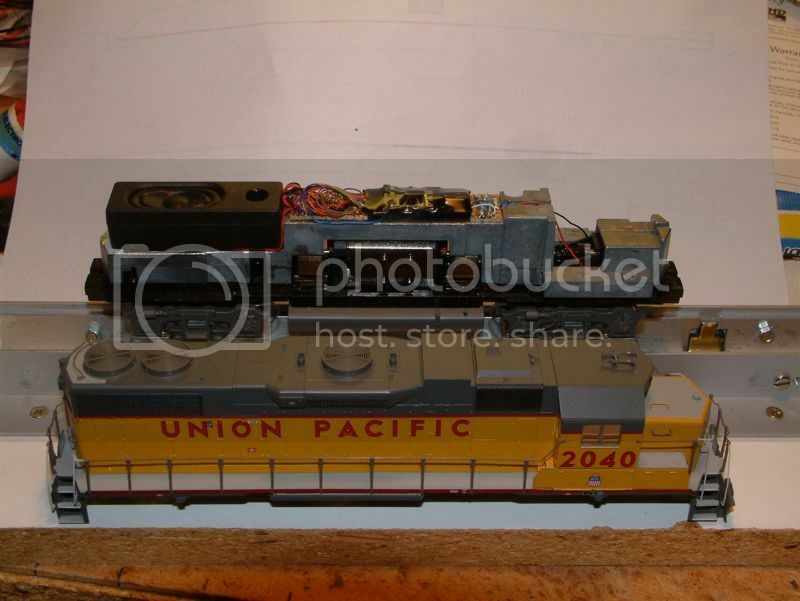 You can run in a locomotive when new, use it to set up DCC decoders etc. I bought mine from http://www.sprog-dcc.co.uk. A basic set of 4 stands , enough for a loco with 4 driven axles will set you back just under 50 GBP. While not cheap, they are very well made and can be used for other gauges too (the type I have can be used for HO to S scale). For 6 axle locos you can order an additional set of 2 stands (which I've done ), and there are also stands for steam engine tenders with non driven axles etc. It will get a bit pricey when you need to run in articulated locomotives such as a Big boy, but this tool is very useful, and I'd recommend it to anyone with a larger locomotive fleet, or does regular maintenance or modification work to their locomotives. The engine sounds very quiet compared to the brakes, are the volumes set correctly? I have found it takes a bit of playing with volumes to get a good balance. I set them up at home with the mute volume F8, set at it's lowest so that it sounds good to me. Then F8 will allow higher volumes at meetings or shows. It's probably the way the speaker is fitted. I will have to have a look at that, most higher pitched sounds come out fine, but there's not much low frequencies (of course I won't expect earth shattering base from such a small speaker), but it can surely be improved. I fitted an extended base speaker in mine. Some chassis cutting is required, over the rear truck and motor. This one has a Loksound V3.5. It is sitting on my home made rolling road. I'm cutting my chassis at present, mine is slightly different from yours however, the size and shape of my 'weights' are different, and I also have this large 'plastic' light lens, you probably had that too, but I'm guessing you removed it and used LED's and/or fiberoptics? Another difference is that my fans are closed, not see through, so it does mute the sound somewhat. Whoops sorry about that mine is a Lifelike Proto 2000. The light guides to the rear were removed, the front is still in place. The rear light is now a LED glued on the back of the speaker. The photo doesn't have the ditch light wiring which went in later, but the resistors were already fitted. If the fans are closed over point the speaker down over the truck, I think this sounds better so now I do it even if the the fans are open.